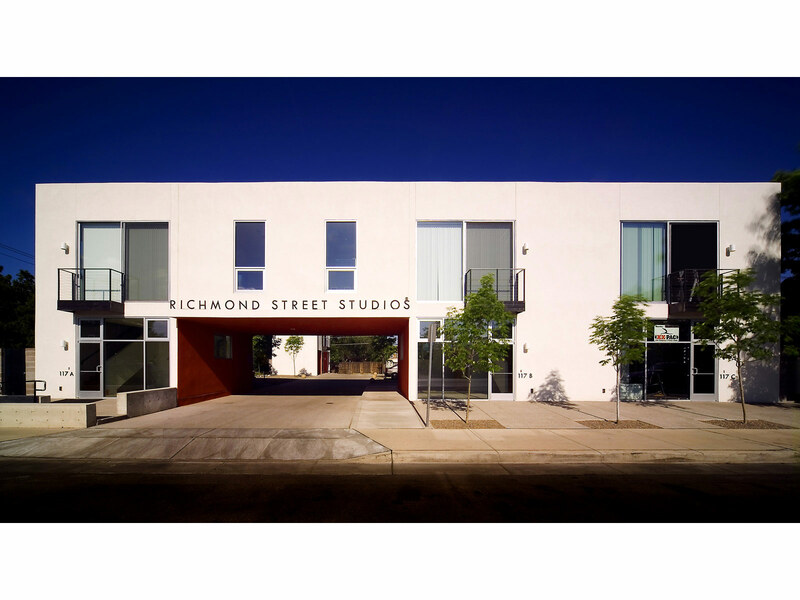 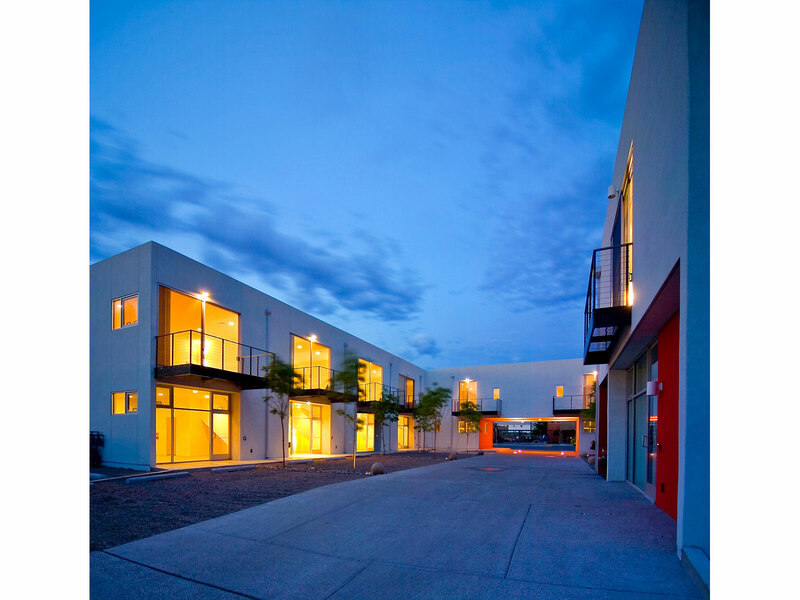 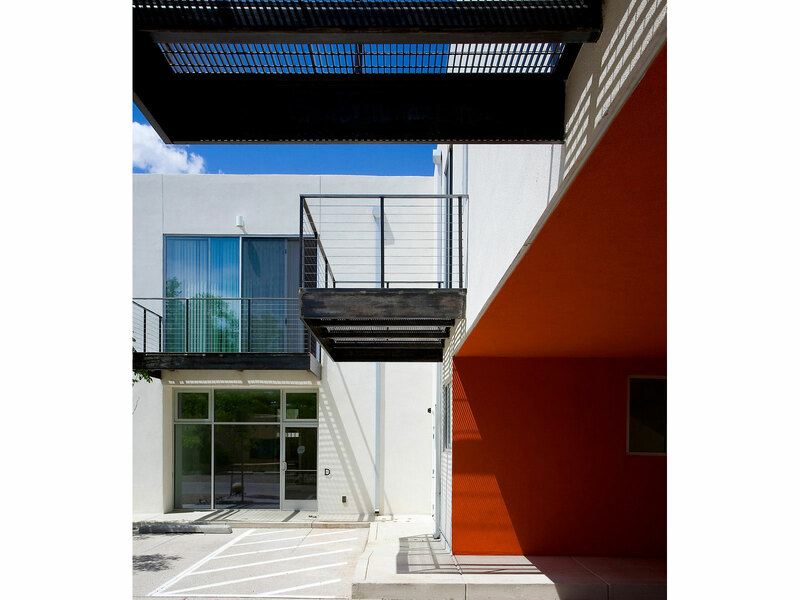 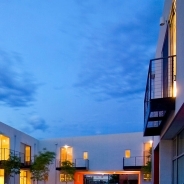 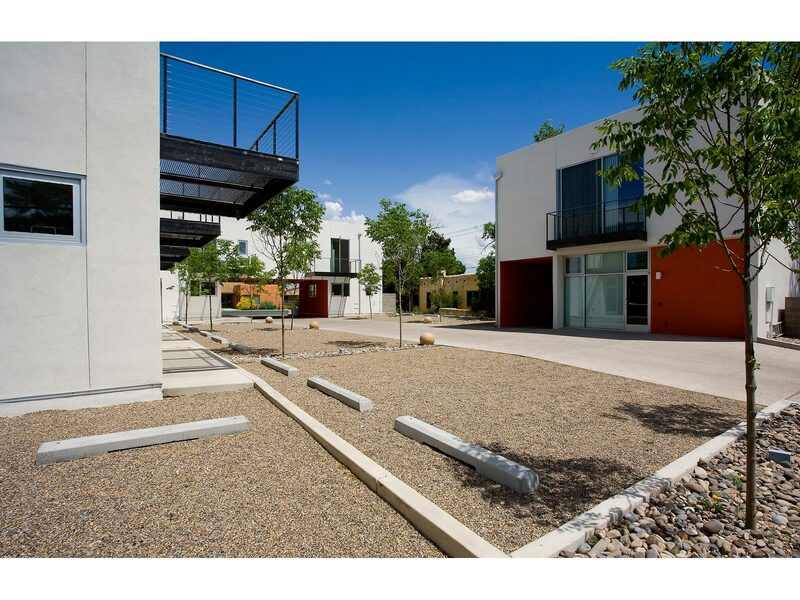 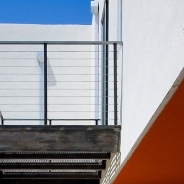 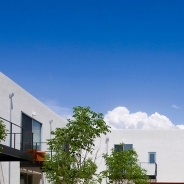 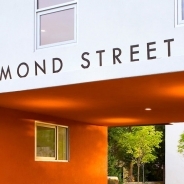 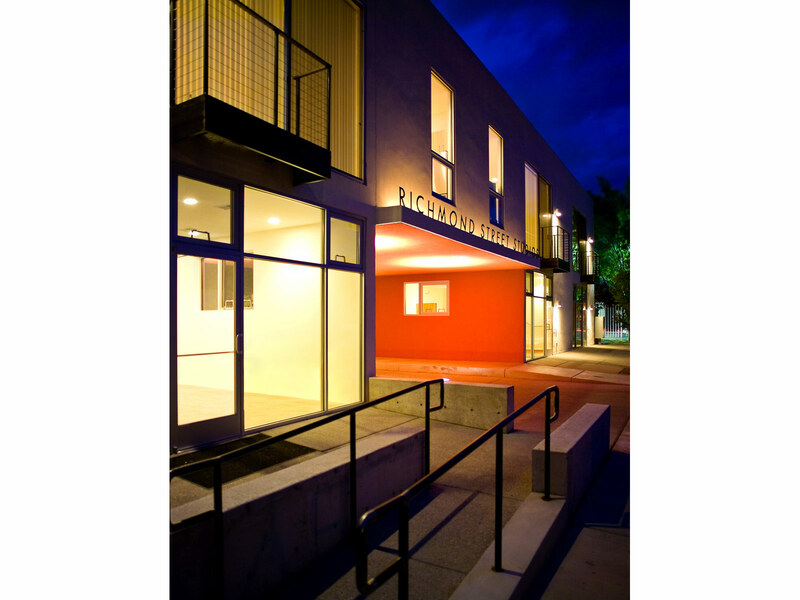 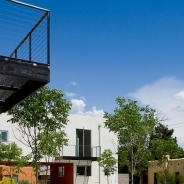 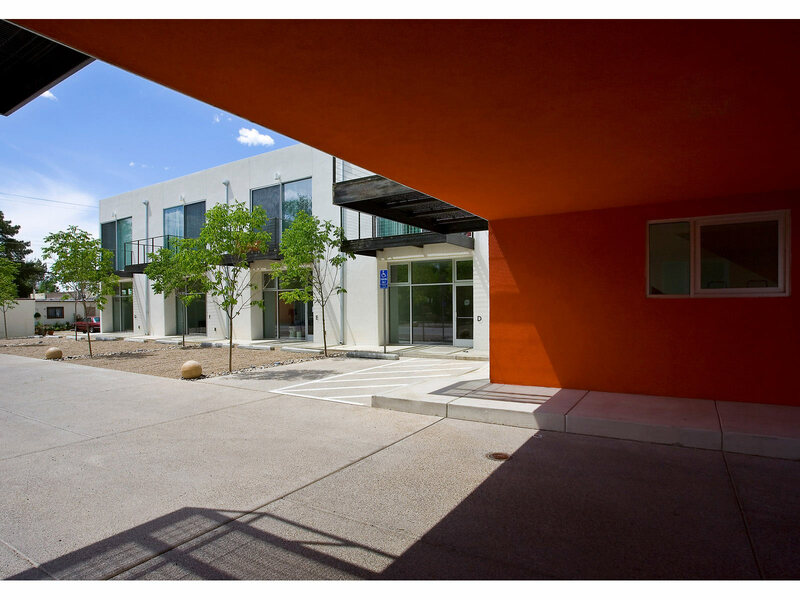 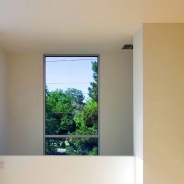 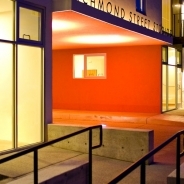 The Richmond Street Studios are located in the heart of Albuquerque’s vibrant Nob Hill retail, office and entertainment district, one-half block from Central Avenue and the University of New Mexico campus. 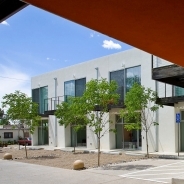 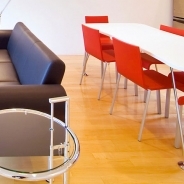 Eight two-story live/work studios offer the unique opportunity to lease space for a business or residence in this exclusive area. 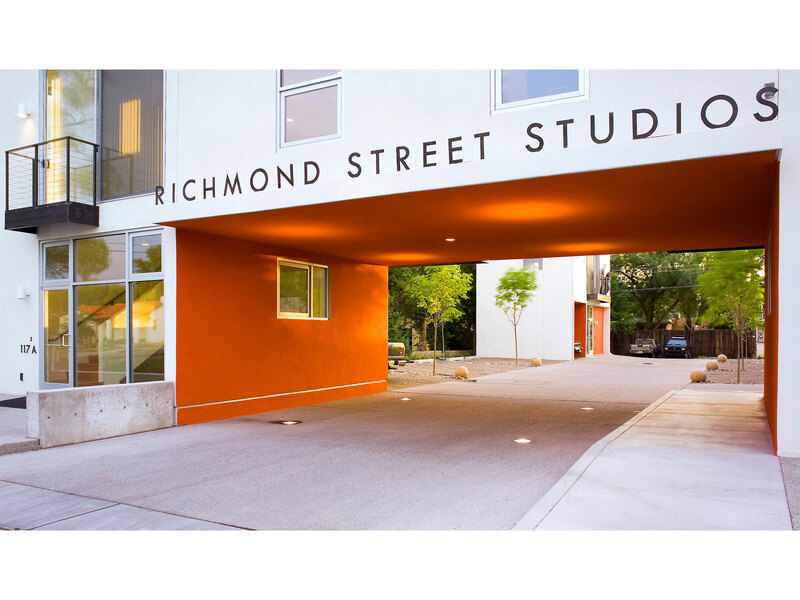 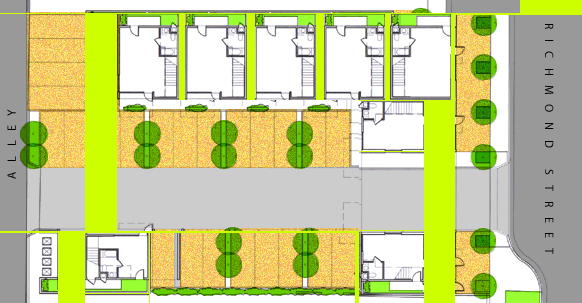 Configured as a large south-facing courtyard building, the studios front onto Richmond Street and a richly landscaped parking area filled with trees and crusher fines. 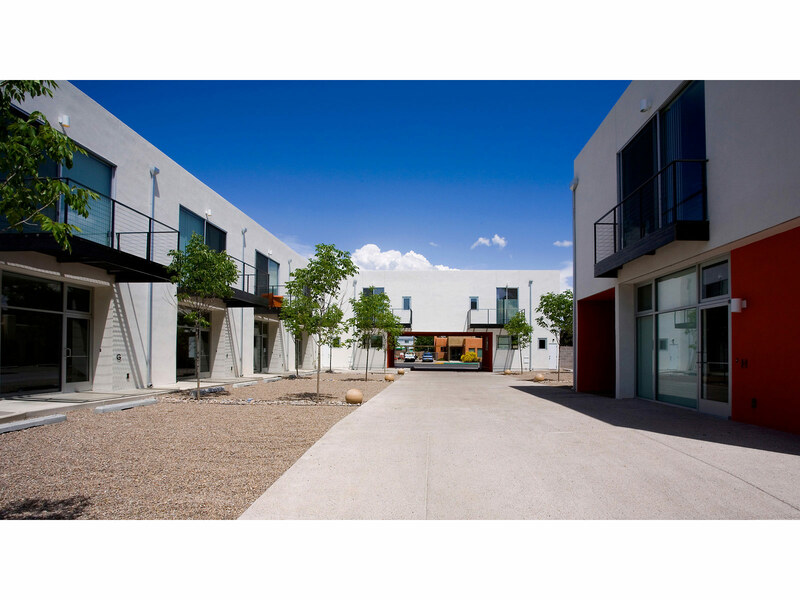 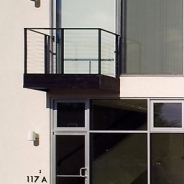 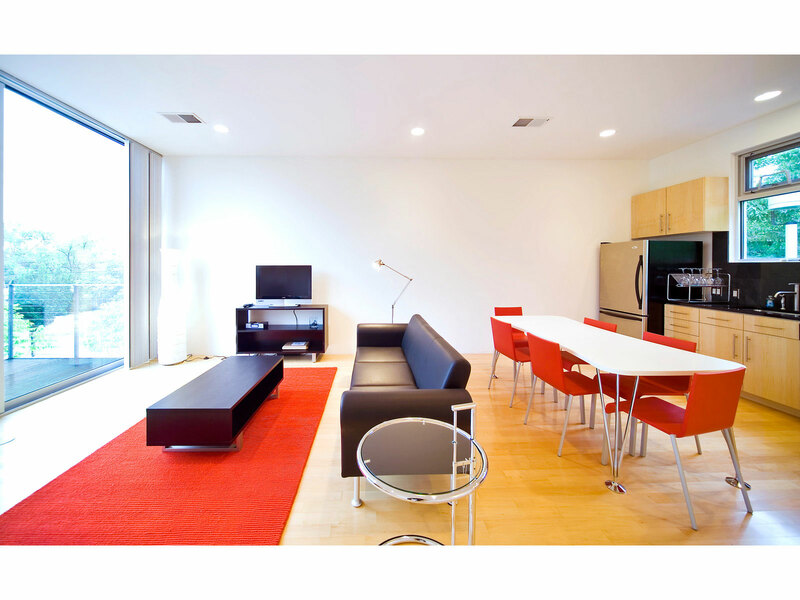 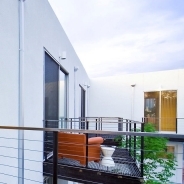 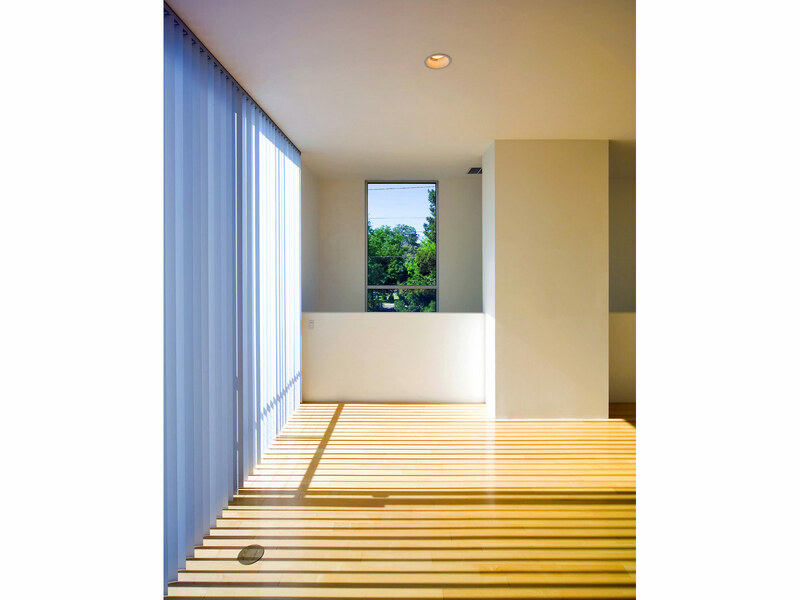 Ranging in size from 889 to 1048 square feet, the open-plan lofts provide maximum flexibility of use, whether residential, commercial or both. 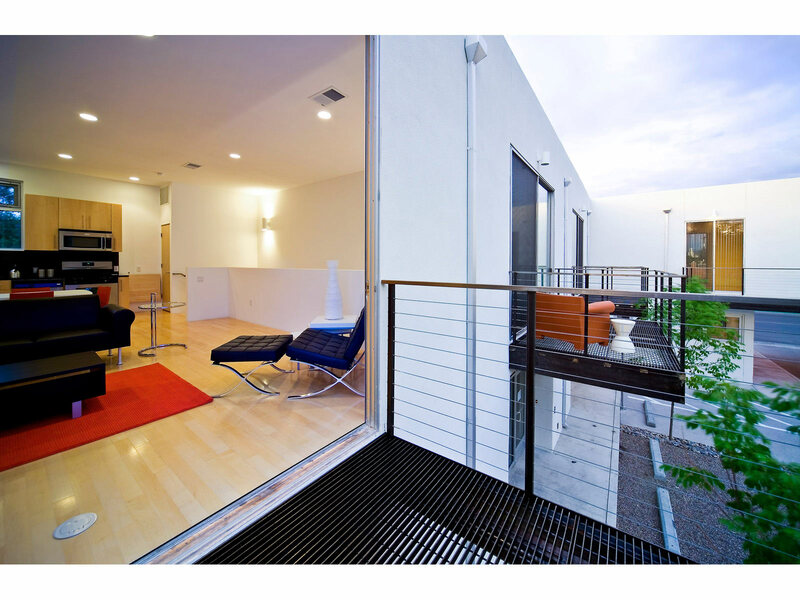 Features include tall floor-to-ceiling glass spaces, private patios and immense cantilevered steel balconies.